The largest tourist attraction on the Saanich Peninsula says they are on pace to see one of their busiest years yet. In mid-August, BC Ferries announced they were seeing increases of passenger traffic and vehicle traffic of 3.8 per cent and 4.4 per cent, respectively, over the first quarter of the year. BC Ferries says those passenger traffic levels were the highest they’d experienced in the past 20 years. More passengers and vehicles arriving on Vancouver Island via BC Ferries can often bode well for tourism operators and related businesses in Greater Victoria. One of the largest tourism operators is Butchart Gardens in Central Saanich. Dale Ryan, Director of Public Relations, Sales and Marketing for The Gardens, said they are having a very strong summer. “It’s been terrific for us,” she said. While Ryan said they do not reveal actual visitor numbers, as they are a private garden, she did add they are on pace to see more visitors this year than they did last year — and 2016 was one of Butchart Gardens’ busiest years on record. The Gardens’ ending of the sales of plastic water bottles in March of this year has also gone over well with guests and caused a reduction in plastic waste, Ryan added. She said many people bring their own, or The Gardens does sell both a metal or plastic keepsake water bottle — which people can fill with Butchart Gardens’ triple-filtered water supply. The Pat Bay Highway visitor information centre, operated by the Saanich Peninsula Chamber of Commerce, has seen two very strong months in July and August. They reported that their busiest month since they officially opened on May 19 this year, was July. However, after seeing some days of 210 visitors a day, August could outpace the previous month. Visitors to the Pat Bay Highway centre use their facilities, such as picnic tables, maps, wifi and washrooms. Busiest times of day are typically between 10 a.m. and 2 p.m., with Sundays and Mondays their busiest days of the week. Most visitors they see are from Canada, with Europe and Mexico second and third, respectively. Sidney’s visitor information centre on Beacon Avenue has seen an increase in tourists from the southern and eastern U.S. – something of a new trend for a time of year that usually sees higher numbers of Europeans. The Sidney Business Improvement Area (SBIA) is in their first year of operating the centre, after taking over the contract with the Town of Sidney from the Chamber. Some notable locations of origin they have recorded include Tanzania, Morocco and Israel, and the SBIA reports more visitors are asking about Sidney specifically, as a destination. Overall, the most visitors to the centre are from B.C., outside of Greater Victoria. To date, the SBIA has served 31,962 visitors: Sidney visitor centre 9,745; Washington State Ferry terminal 2,679; event services 5,607 and the Ask a Local kiosk in Beacon Park 13,931. Summer passenger traffic at the Victoria International Airport is also looking strong, says Geoff Dickson, CEO of the Victoria Airport Authority. Year to date, the airport has seen a 5.7 per cent increase in overall passengers — keeping with their month-over-month growth (sometimes record growth) over the last three years. Dickson credits that with the strong U.S. dollar as well as more Canadians staying home and making Greater Victoria their destination. 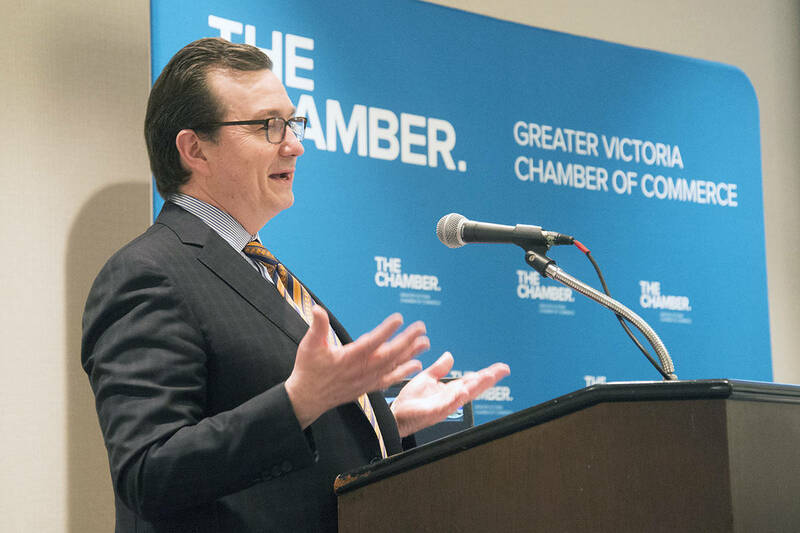 He said recent growth at the Vancouver International Airport benefits Victoria. Looking ahead, he added emerging ultra-low-cost airlines — not to mention Canada’s reputation as being a safe destination in the world — will keep people choosing to come to Victoria.